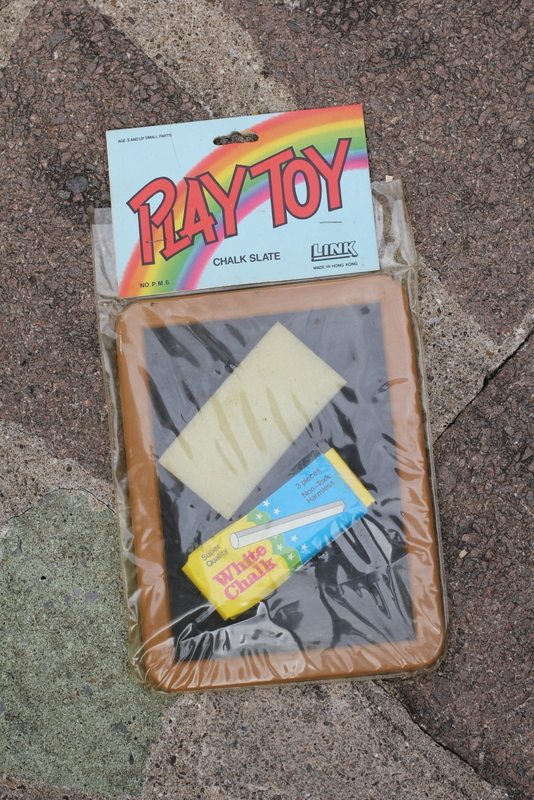 Today we spent the day riding the toy trike around the Novers area of Knowle West, knocking on doors, meeting people in the street and gathering toys and stories. 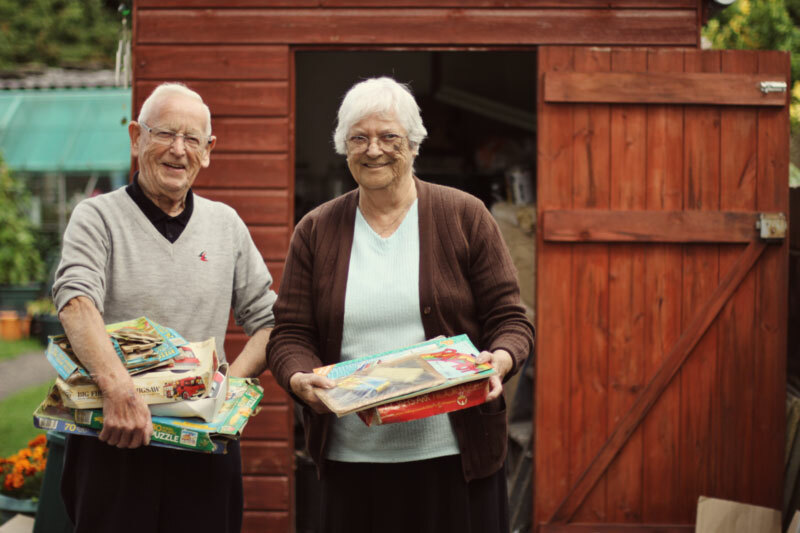 We met Dave and Cynthia as they happened to be clearing out their shed and chatted about their extended family. 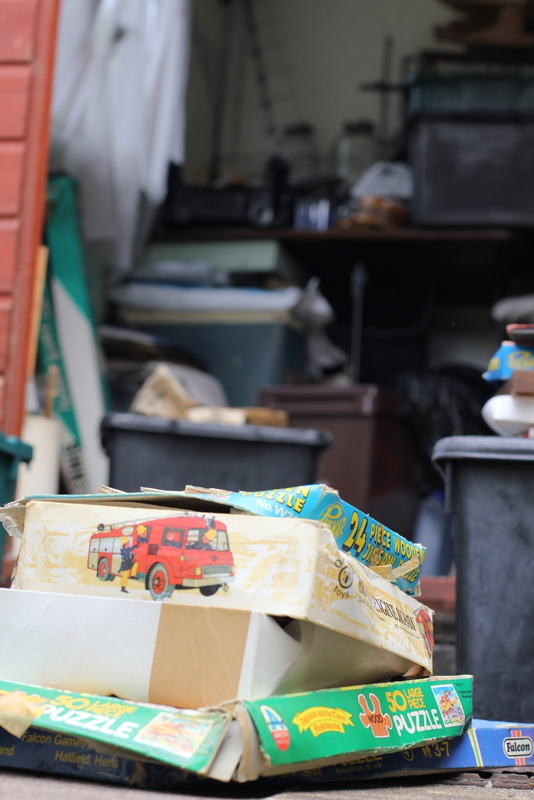 Keen gardeners, the shed was crammed but incredibly well organised. 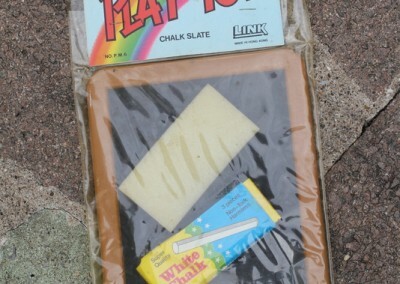 Many of the toys and games that emerged dated back to the 70s and 80s when their sons were young. 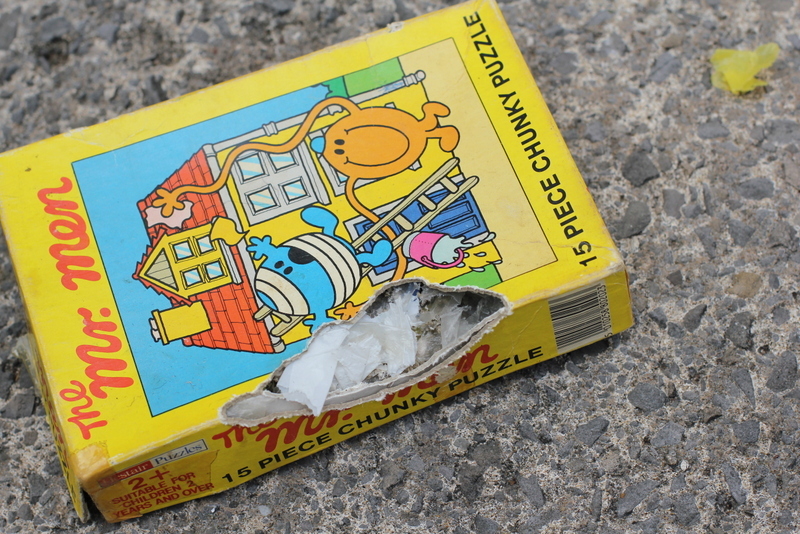 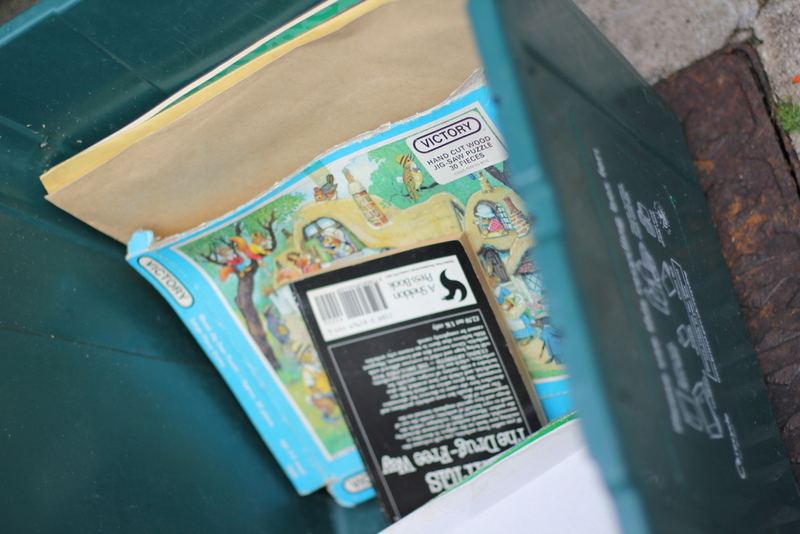 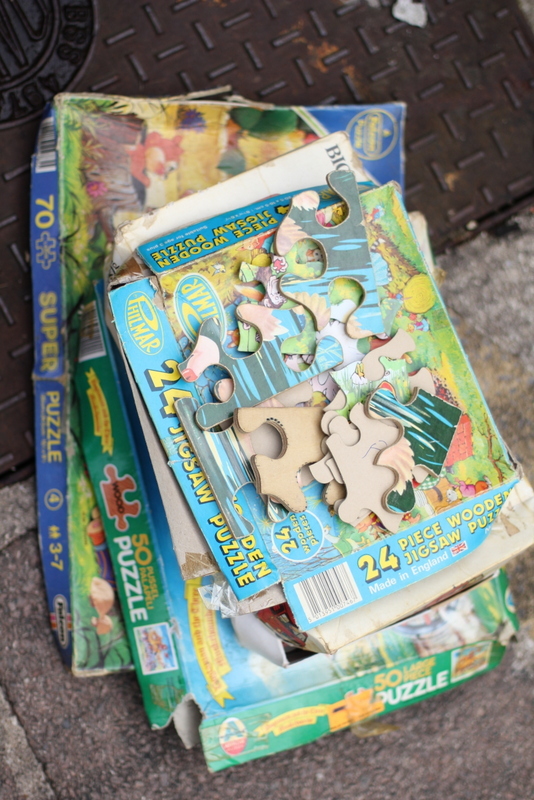 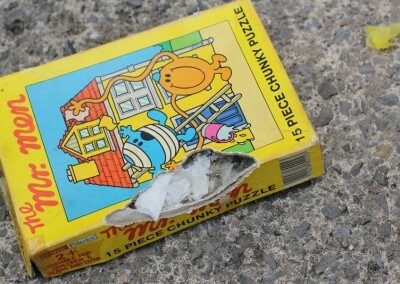 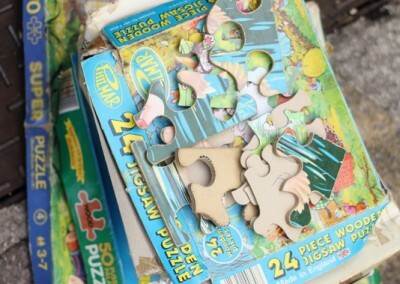 They kindly donated jigsaws and puzzles that were heading for the recycling (apart from one which a mouse seemed to have already been busy upcycling). 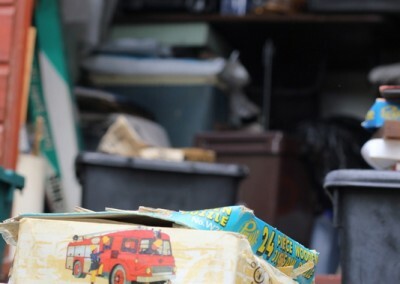 They wanted to keep some of the toys, like a swingball set and ride-on toy as they are still in use by their grandchildren and great-grandchildren.